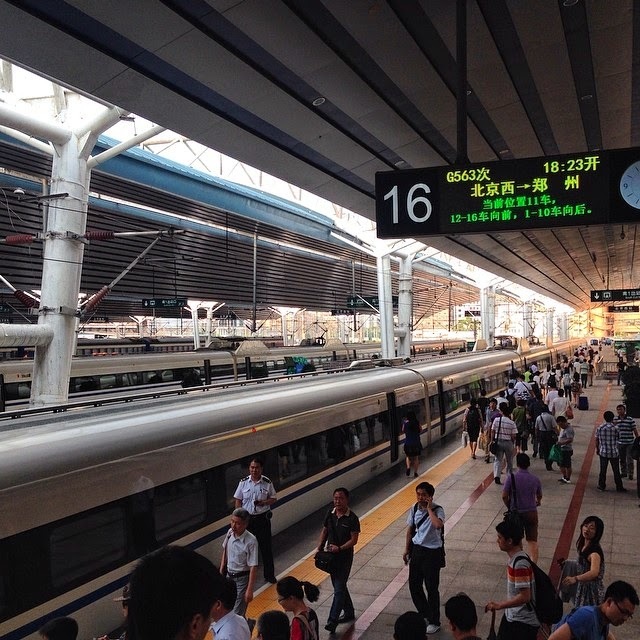 Friday night I left work at the foster home early to make my way to ZhengZhou. I got the bullet train, which is really such a great way to travel as it's so smooth and fast from Beijing. I met my good friend Kevin and stayed the night with him. We rode across the city to his house on his new motorbike which was fun! We stopped for some street food, of course! We got up early on Saturday morning and had a traditional Chinese breakfast at... McDonalds!! (ok, not at all traditional!) and I got the bus to the nearby city where Eagles Wings is - just north of ZhengZhou. I arrived just before lunch time and was met my excitement and smiles and lots of kids shouting 'Rob gege, Rob gege' (Big Bro Rob)! That really never gets old! I got to see lots of my favourites and then went to see Barry of course! The other kids in his house were napping and he didn't want to so we just hung out! The exciting news, and main reason for this trip is that Barry will be adopted mid July!! All those prayers worked because this boy is going home soon to a wonderful family! He seems very happy that he has a family and I got to show him more photos of them than he had already seen and tell him about his family! He will have one older brother and sister, and a mom and dad! I couldn't be more excited for him! When I saw him he told me he is going to america and has a mom and dad! I was nearly tearing up hearing him tell me! Little does he know that I have spent whole lot of time dreaming, praying and hoping for him to have a family of his own!! He was so funny too and said he wants to go to Ireland too!! I told him I can go see him in America and he said ok. He kept bringing that up later on saying, Rob you come to America, ok?! I had to explain to him that it wouldn't be right away but that I would try as soon as I could!! I love that kid so much! Barry will be adopted in just a few weeks!!! The nannies then took some of the kids outside to the playground and we had even more fun!! Though it did get a bit much with about 8 different kids calling 'Rob gege.....' over and over!! I can only do one thing at a time!! Not that I'm complaining though, I wouldn't trade it for the world!! We played outside for a while and when it started to rain, went inside to the trampoline which was fun too! Wesley was his usual charming self showing me his variation of break dancing!! The kids went back to their homes and Barry showed me the package he got from his parents! He got a photo album of their family and house. When he saw a photo of his mom he would say how beautiful she was! How sweet! He also got a disposable camera to take photos of his life there and some crafts and such to share with his friends. He is still very protective over his family package and the nannies keep it well away from the other kids and get it out for him when he wants it! Everyone is so happy for him to have a family! I ate dinner with Barry and his home and read them a story and we sung some songs. One of the girls asked 'Where are my Mama and Baba?'.... heartbreaking. I then went to say goodnight to Wesley and his home and hung out with those crazy boys for a while! They really are crazy, in a good way of course! I lived with many of those kids all summer so know them so well! Especially Yong and Qiang who have more severe CP (cerebral palsy) so while they are smart boys they cannot speak words so it does take time to know them! They were particularly excited to see someone who knows them so well!! I helped tuck them into bed and at their request got the guitar and pretended to sing them a song goodnight! NOTE: I can neither sing well or play guitar!! So there was lots of laughter too! One of the hardest things is to hear of the kids who aren't being adopted tell me that Barry or another kid will go to MeiGuo. Some of them can never be adopted as they are too old (over 14 and aged out) but some we are praying will have their chance soon. It was definitely an emotional day. Seeing the kids so excited to see me return again made the trip so worth it. 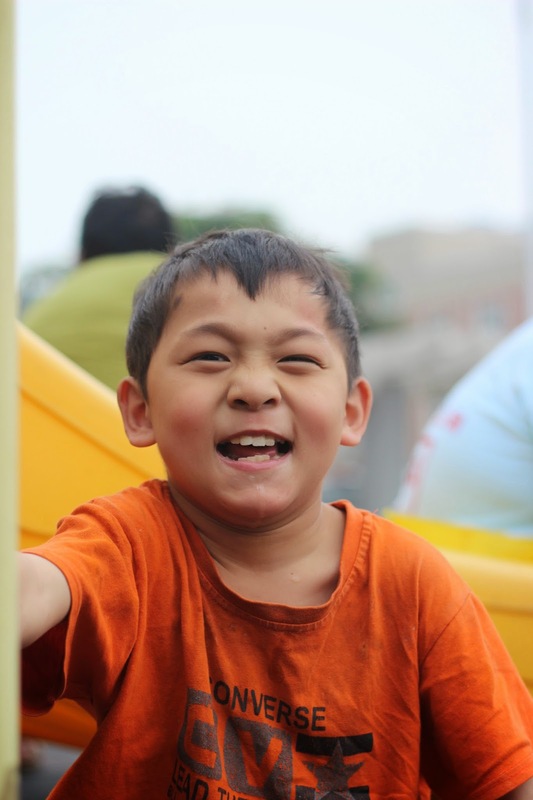 While I love what I am doing at the foster home in Beijing - I am learning so much from the staff there and its such a great program and home, and I am glad to chose to work there this summer! These kids here really are the ones I think about daily at home! I am so grateful to be able to visit them! I've loved Barry since the first time I saw him in your video last summer. So, so thrilled to hear he is going home to his family soon! This made my day! Thanks so much for keeping the world updated on our precious kiddos. I was tearing up just reading it and looking at the pictures. I miss the kiddos! Whenever you want to come to america to visit Barry, let me know!